The littoral states of the Indian Ocean and the Arabian Sea could benefit greatly from the establishment of maritime confidence-building measures, according to a report released today by the Henry L. Stimson Center. The Stimson Center's report, The Lahore Declaration and Beyond: Maritime Confidence-Building Measures in South Asia, was authored by Rajesh Pendharkar, a serving Indian Navy officer. Pendharkar, writing in an individual capacity, argues that, "[D]espite mutually opposed ideologies, the United States and the Soviet Union were able to create prolonged, successful processes of confidence-building. The same is possible between India and Pakistan. 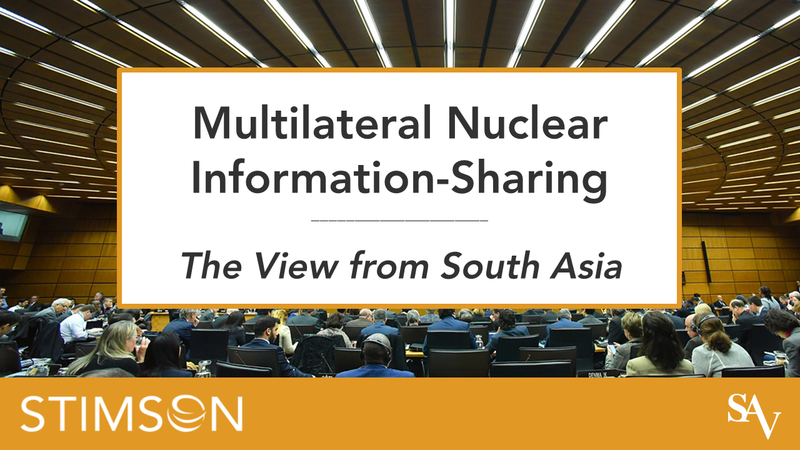 Pendharkar, a Visiting Fellow at the Stimson center during 2002, believes that a multilateral approach to maritime CBMs should precede, and could facilitate, such CBMs between India and Pakistan. Of particular importance, in Pendharkar's view, is the negotiation of an Incidents at Sea accord between the two countries' navies. Pendharkhar acknowledges that the record of confidence-building measures between India and Pakistan has been "regularly interspersed with confidence-breaking measures." Nonetheless, Pendharkar believes that maritime CBMs may have a better chance of success because the "maritime realm has been the least contentious of the three dimensions of military conflict and because there is a wide scope of non-contentious issues upon which maritime cooperation may be achieved," including search and rescue operations and maritime disaster management.